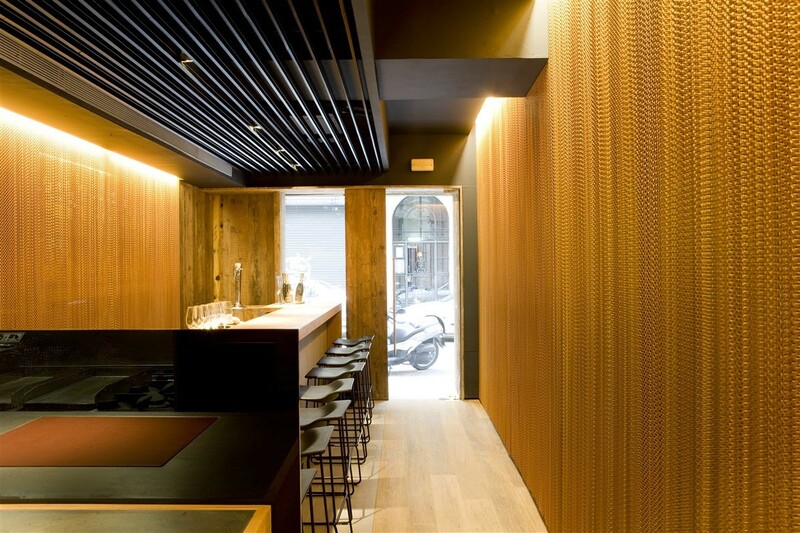 Located in Barcelona, Coure Restaurant is a modern establishment that stands out for its golden sparkles and a long wooden bar. 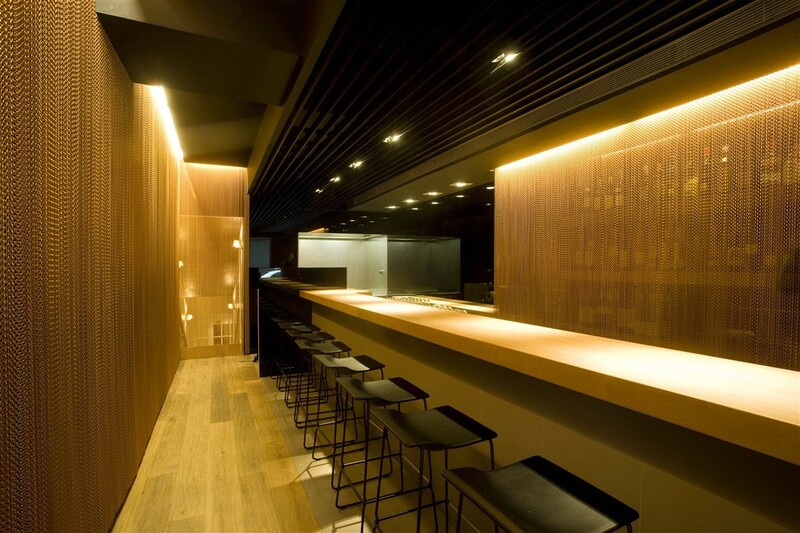 The person in charge of remodeling the anteroom was the interior designer Alfons Tost, who organized the space from three longitudinally parallel strips that fulfil different functions. The first corresponds to the passage space, from the street to the ground floor. 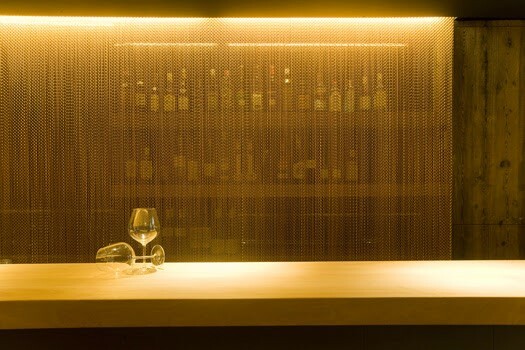 The second focuses on the bar area, where customers can have a drink. And, finally, the most franked, behind it, space for service and show cooking. The guiding thread of all this is the Kriskadecor metal curtains in matte orange, which separate spaces and cover walls, directing routes, hiding bottle racks and jacket hangers.